Mary Louise Bradshaw Hatcher, age 83, of Wallace left this earthly life on Sunday, February 10, 2019 and is now in the arms of her Lord and Savior, Jesus Christ. She was born on July 31, 1935 in New Hanover County and was the daughter of the late George Edward and Lillie Mae Woodcock Bradshaw. She was also predeceased by her husband of 52 years, Walter Hatcher, her son, Tony Ray Hatcher and her brother, Earl Bradshaw. 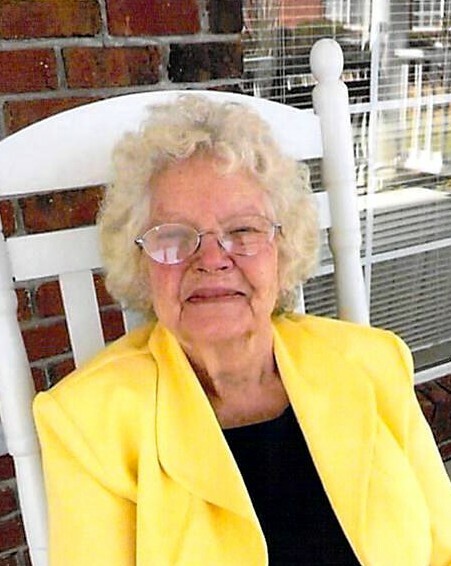 Louise was a dedicated member of Wallace Pentecostal Holiness Church. Surviving to cherish her memory is her loving family; her sons, Walter Glenn Hatcher and wife, Cathy of Rose Hill, Harold Dean Hatcher and wife, Barbara of Wallace, Ronnie Lee Hatcher of Wallace ; her daughters, Donna Batts and husband, Jimmy and Janice Hatcher Cavenaugh and husband, Glenn, all of Wallace; grandchildren, Beth H. Ray and husband, Neal, Daniel Hatcher and wife, Laura, Chris Hatcher, Kayla Cavenaugh, Sara Cagle, Corey Cavenaugh, James Batts II, and Sabrina Batts; great grandchildren, Payton, Charlotte, Grayson, Dolton, Willow, Uriah and Jamison; brother, Durwood Bradshaw and wife, Janice of Hampstead; sister-in-law, Shirley Bradshaw of Castle Hayne and numerous extended family and friends that loved Louise dearly. Louise was a devoted wife; a loving mother, grandmother and sister who loved her Lord and her children dearly. She was a woman of uncommon character, beauty and grace; and to those who knew her, “an instrument of God’s love on this earth.” Louise was a friend to all, a strong yet gentle presence who looked for and encouraged the best in everyone. She was a shoulder upon whom her children found comfort and support. Louise enjoyed cooking, the holidays, going to Sabrina’s ballgames and sewing. When her girls were young, Louise took great pride in making the dresses they wore. Louise was a loving, tenderhearted lady who loved everyone and was loved in return. She will surely be missed but treasured memories will forever remain with those who knew and loved her. Funeral service will be held at 2:00pm on Tuesday, February 12, 2019 at Wallace Pentecostal Holiness Church with her pastor, the Reverend Bobby Smith officiating. The family will receive friends from 1:00pm to 2:00pm on Tuesday, one hour prior the funeral service at the church. Casketbearers will be James Batts II, Chris Hatcher, Neill Ray, Chris Garriss, Donnie Mobley, Tim Whaley and Corey Cavenaugh. In lieu of flowers, the family ask that memorial gifts be given to Wallace Pentecostal Holiness Church, PO Box 354, Wallace, NC 28466. You may share your memories and send condolences to the family by selecting our “Guestbook” above.